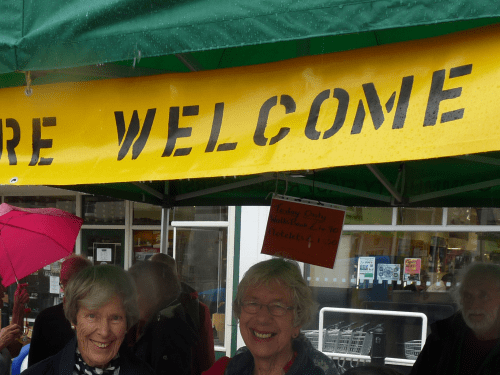 In mid June Wellington Walkers are Welcome were delighted to host Kate Ashbrook, the patron of Walkers are Welcome, in Wellington. Kate and her hosts walked up The Wrekin, then, on the Saturday Kate opened the Telford T50 50 mile trail. This has been developed by a consortium of Telford Walking organisations, including Wellington Walkers are Welcome and the Telford and East Shropshire Ramblers. The 50 mile route links Telford’s open spaces (yes, there are many of them, including The Wrekin) in celebration of Telford’s 50th Anniversary. 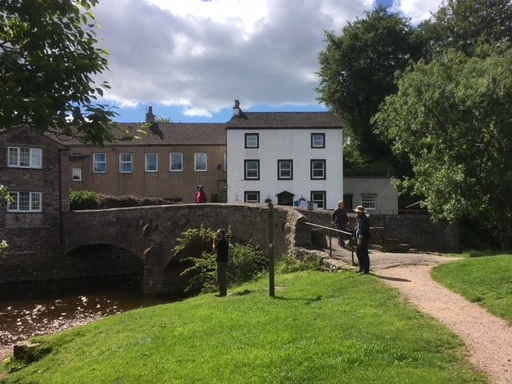 Kirkby Stephen & District Walkers are Welcome are indebted to local resident, Peter Goddard, aka MacGrumpy, who has been hiding Geocaches in the Kirkby Stephen area and periodically updates the group on his progress. He has placed and continually monitors over sixty sites which bring new and repeat visitors to join this modern hide and seek using GPS. Enthusiasts travel some distance and spring into action as soon as they hear that there is a new cache to find. This brings an added dimension to local walk publications and attracts another, particularly family, audience. ‘Our lovely neighbour in the South Lakes came from a farming family in Hartley, we ourselves love Kirkby Stephen and it’s surroundings so we were delighted to see a new series pop up to augment the Poetry Path. Why don’t you go and find one of their Geocaches? Spilsby and Hundleby Walkers are Welcome have recently produced a 1 mile walking trail of Spilsby, the birthplace of Sir John Franklin, Arctic explorer. Franklin is more famous for the disappearance of his two expedition ships and entire crew in 1845, but is better known in Canada than at home. SAHWAW decided to rectify this, and with the assistance of East Lindsey District Council, they created a leaflet that tells the story of Sir John, from his birth to his final disappearance and the expeditions mounted to discover his fate. On the reverse is a trail around the town, looking at places either associated with, or named after, Franklin. A launch was held in May as part of the Lincolnshire Wolds Walking Festival, and the initial guided walks were attended by over 50 people, ranging from a baby in a pram to a grandmother on a mobility scooter. There was extensive radio and TV coverage, and the leaflets are already proving very popular. SAHWAW’s next project is to resurrect a local footpath trail known as The Franklin Way which has fallen into disuse. 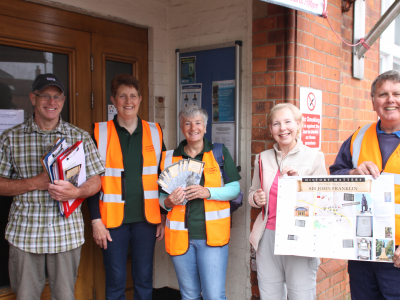 Five members of the Steering Group (Andy and Denise Rowland, Stef Round, Veronica and David Stonehouse) are pictured with the leaflets. Boroughbridge Walkers Are Welcome are organising the first of their summer programme of walks on Saturday 23rd June starting from St James Square Boroughbridge at 11 am. 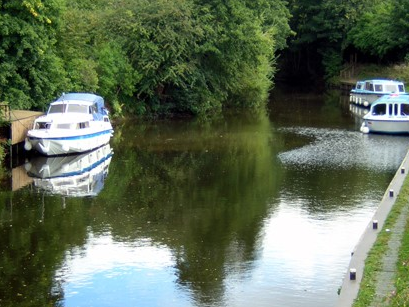 This is an easy walk along the river towards Aldborough and back and is suitable for families with young children or anyone just wanting some exercise and fresh air. No need to book, no charge. All welcome, dogs on short leads please. 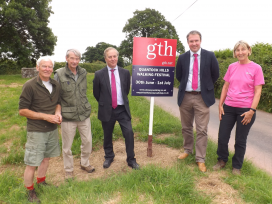 Stowey Walking, the Walkers are Welcome group for Nether Stowey and Over Stowey, met with representatives from estate agents and auctioneers Greenslade Taylor Hunt to thank them for their sponsorship of the forthcoming Quantock Walking Festival. 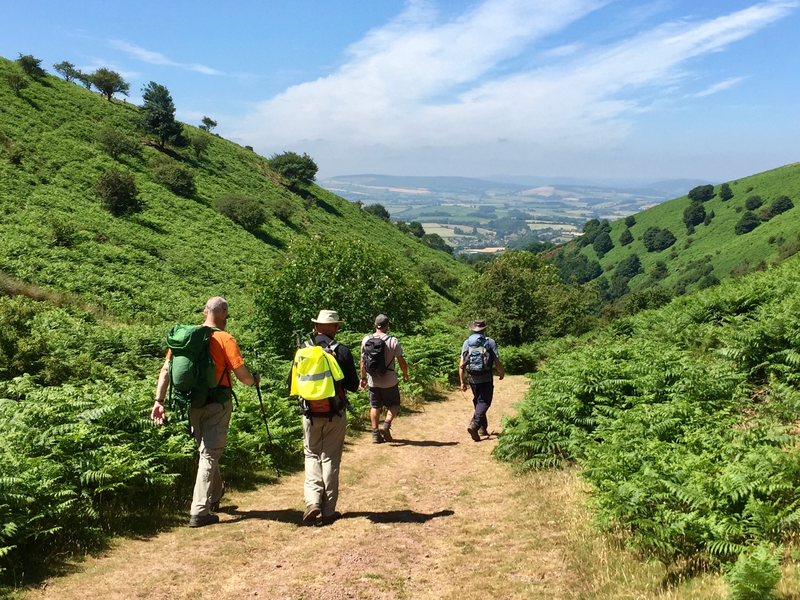 The walking festival takes place on the Quantocks on Saturday 30th June and Sunday 1st July. To book a place contact Stowey Walking at www.stoweywalking.co.uk or telephone 01278 732228. Booking is free with a donation on the day. As all Walkers are Welcome towns know, 2 of the main objectives are-firstly to work to keep the rights of way available to walkers, providing guidance for everyone who wants to enjoy the beautiful surroundings they have and secondly to promote the town as a destination for walkers thus benefiting the businesses. With this in mind the 3rd edition of Wiveliscombe Circular Walks book was launched recently, having sold 2,000 copies of the previous editions since it was first published in 2006. The talents of Wiveliscombe were used again to provide updated text and 4 additional walks, extra drawings and maps as well as proof reading and re-walking. It was only for the printing that it was necessary to travel the 10 miles to Taunton. At the same time work has been carried out with Ordance Survey to get recognition for Wiveliscombe’s own long distance walk, the 26 mile Wivey Way. It has now been confirmed that it is marked on OS Master maps (1:2500 scale now and 1:50,000 soon). Those walkers looking at and using these new maps will see Wiveliscombe ringed and bisected by designated paths. 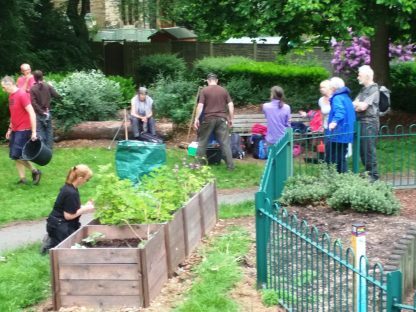 The hope is that this will help cemethe area as a place to be or to visit, walk and enjoy. Wellington Walkers are Welcome have been heavily involved in the creation of a new 50-mile trail to mark Telford’s 50th Anniversary. 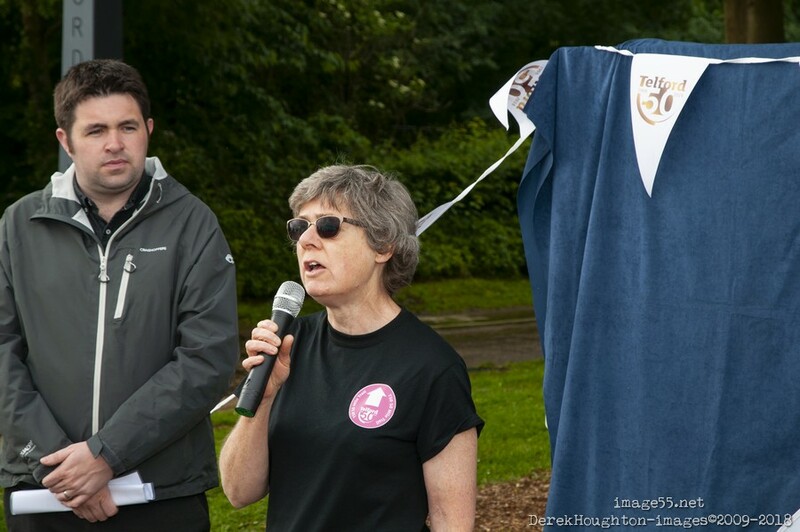 They are pleased to announce that the trail will be opened on June 16th by Walkers are Welcome patron Kate Ashbrook. On that day the trail will be walked in its entirety by the local LDWA group and run as a relay by Telford Harriers . Various sections will be walked by others, including Telford and East Shropshire Ramblers and Walking for Health, Telford and Wrekin. A 5 mile walk, taking about 2 hours. The walk starts at 1330 from Church House (Church Street, Dereham NR19 1DN). The route planned takes us down the High Street and then past the railway station. We turn off Norwich Road to reach The Neatherd, then follow a track to Etling Green. We will walk round the southern part of the Green, then cross a field to reach another track which marks the northern edge of The Neatherd. We recross the railway to walk back into the town and return to Church House.